Early forecasts for 2017 holiday sales look merry and bright for retailers. According to Deloitte, overall holiday sales are expected to grow up to 4.5 percent this year, topping $1 trillion between November and January. Researchers expect eCommerce sales alone to increase 18 to 21 percent. For B2C companies, having a presence on social media is no longer optional during the holiday season. Customers expect to visit your Facebook, Twitter, and Instagram pages to research your products, connect with other customers, and find exclusive promotions. For store owners, it’s the best opportunity of the year to grow your audience and increase your engagement with customers on social media. 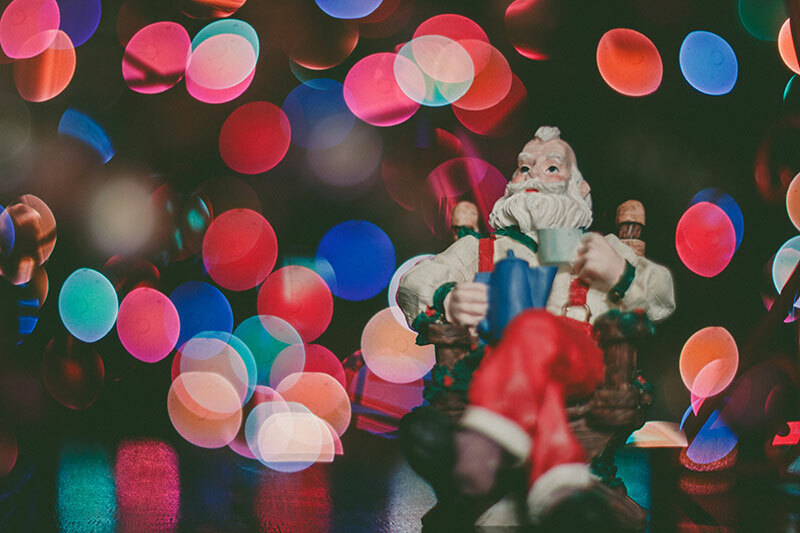 Here are a few ideas to make the most of your social media for the holiday season. It’s the first week in November, so most likely, you’ve been working with your team to plan holiday promotions for your Black Friday, Cyber Monday, and Giving Tuesday. But even if you haven’t laid out your entire content calendar and identified your Key Performance Indicators for the next 6 weeks, it’s not too late to put a few things down on paper so you can track your successes. What do you hope to achieve? Increased conversions for a specific category? Brand recognition? Increase in social media audience? Email collection? More foot traffic in your brick & mortar stores? Be sure you’ve aligned your business goals and social media strategy. Who are your target customers, and where do they spend their time on social media? Sprout Social published a helpful blog on platform demographic data that may provide some insight. If you’re looking to extend your reach, go where your key users are and target your audience on that platform appropriately. Do you have a specific KPI you’d like to hit? Setting specific numbers gives you specific benchmarks and allows you to adjust your strategy mid-stream to hit those numbers. Looking at data from the past couple years will help determine workable goals. How are you tracking and reporting on your success? Is there a way you are aggregating reports from data across all of your platforms? Assuming you’re like most companies, you are probably using Google Analytics to track conversions, traffic, and online revenue. When you’re setting up your campaigns, be sure to tag all of your campaigns links correctly using UTM parameters so you can track easy successes in Google Analytics. Google’s Campaign URL builder can help you do this. If you still have time to put together a full strategy (or want to know where to start next year, check out the Social Media strategy template from Hootsuite. This template can help you kick off conversations with your team so you can set business goals, align your social media profiles with your brand, track successes, and generate your content calendar. Now that you know what your goals and metrics are, and you’re ready to track your success, you can start building your calendar. A Printed Calendar Old-school, but maybe helpful for visually mapping out content day-by-day. A Spreadsheet Easily shared so your team members can collaborate, and can be color-coded for platforms and assigned team member. Check out Hubspot’s popular and free calendar spreadsheet. Software Designed for Other Stuff Companies are using all kinds of free software to organize their social media messages, gather creative assets, and count characters when necessary. Project management and calendar software can be adapted to include messaging and allow for collaboration. Trello, Evernote, or even a Google calendar can help you organize your messages and assign to different members of your team. Pro-tip: try Trello first. It’s a solid – and free – place to start. Here are 10 Ways Trello can help you get organized. Social Media Scheduling Software If you’re ready to use something a little more sophisticated and you have a budget to do it, a paid software specifically for social media calendaring might work for you. Take a look at Mintent, Coschedule, or ContentDJ for a more robust option. Promote Your Content This is probably the easiest part. You’ll promote your coupons and holiday specials, feature your products, and essentially toot your own horn. Share Industry News and Thought-Leadership This might be a little tougher, but makes your brand stand out at the center of the industry. Get Personal with Your Customers and Interact with Them Share customer stories and insights and work on communicating with them personally. Create a contest that brings your customers back to your social media accounts. Be sure to make sure the prize is something that reinforces your brand experience, like a free product or gift cards. Here are a couple of cool Holiday Social Contest ideas from Rignite. Offer social-only discount codes and coupons. People are likely to share good discounts, and you can track the ROI of a specific campaign with a discount. Find a favorite partner and coordinate offers and messaging. The combined value will encourage even more engagement with followers. What are you doing for holiday giving? Are you participating in Giving Tuesday in some meaningful way? You could promote your own company’s holiday giving, or create a campaign to give to a meaningful charity along with your users. If it works with your brand, holiday recipes and decorating are great conversation starters. Especially if you’re an eCommerce store, help your customers match your products as gifts for their loved ones. Have your users share their favorite holiday fails as a video or image. It could be a cooking disaster, holiday light debacle, or a sledding mishap. Anything relatable and humorous! People love to talk about their New Year’s Resolutions. Get people excited about turning over a new leaf on January 1, especially if it fits with the branding of your company. A few things to keep in mind as you embark on your holiday social media adventure. Although we didn’t get into all the nitty gritty of paid social in this post, there is limited visibility that you’ll get organically if you’re not paying to boost posts. You’ll definitely want to consider it when using Facebook, but you may want to consider it with other platforms as well. Organic reach for brand pages has declined significantly. Don’t expect that your content will go viral if no one ever sees it. Be aware that you will need to decide what your timeline, budget, and target audience is when you launch your content. Likely your eCommerce or website team is working on a holiday strategy along with your email marketing teams. They know what products they want to promote and how users engage with the website. Work with them to coordinate your messaging, streamline creative, build email marketing lists, and make sure you’re on the same page. You’ll avoid duplicating efforts and unify your brand voice. The numbers show where you engaged your audience and where your message flopped. After the holidays, review your metrics on Google Analytics. Or, you can use this social media report card template from Buffer Social to get a full picture of your successes. Don’t be afraid to point out where changes in the platform, messaging, creative, or other factors might have improved the outcome. It will help improve your planning for next year. For more than seven years, Dree Ziegler has worked as a digital marketer, business analyst, eCommerce strategist, and sales executive for Human Element, a full-service digital agency focused on eCommerce development with Magento, and a long-time partner of Nexcess. Dree has played a key role in strategy and development for dozens of Magento stores and now leads digital marketing services for Human Element clients. Her more notable accomplishments include speaking at both Magento Imagine and Meet Magento New York, hosting an international video series called, “Yo, Adrienne!” and once – in eighth grade – presenting legislation to the Ohio House of Representatives. For more on digital marketing strategy for your Magento store or for a little help with your social media, visit www.human-element.com and drop us a line. Why Is Subscription eCommerce So Popular? There are many different strategies to choose from, you just have to maintain your exposure and activity every single day, monitor the changes of your metrics..